Get up high in the mountains with better comfort in the robust and highly stretchable Alta Badia pants from Odlo. 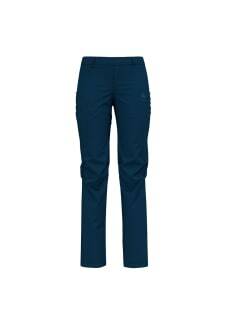 Named after the stunning Northern Italian ski resort of Alta Badia, these pants are built to support you and keep you warm during long winter hikes in cold weather. Made with water repellent properties and wind resistant qualities, these pants are designed to keep out inclement weather while maintaining great freedom of movement. A regular fit feels ultimately comfortable and secure so you can wear the Alta Badia pants in full comfort while you take on new winter snowshoeing trails.